Animal Prayer Guide is a wonderfully comforting and inspirational book! By writing Animal Prayer Guide, Niki Behrikis Shanahan has empowered the laity to pray and hold services for their beloved animal companions and for all other animals. Unfortunately, this is something that most clergy have refused or have been very reluctant to do. For many people, companion animals are like their children. They want them to be healthy and happy and to enjoy the life God has given them. They're concerned when they're sick, and they mourn deeply over their loss. As a retired pastor, I continue to counsel and pray with people who grieve over the death of any loved one, and it is obvious that the emotional stress is the same for both humans and other animals. These people want the assurance that beloved companions will be in heaven. 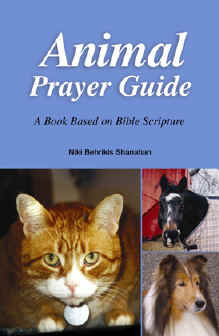 Animal Prayer Guide will make this comforting ministry easier. Throughout this book the author has shown the world that all living beings, whether human or non-human, were lovingly created by God, and that there is a place in heaven for us all. Furthermore, this book confirms that all beings are worthy of our prayers and God's blessings. 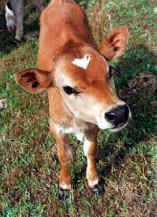 If it is proper to pray for humans, it is also proper to pray for all other animals. 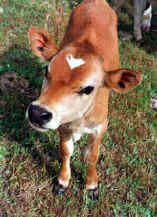 Sample blessings and prayers are sprinkled throughout all the chapters of Animal Prayer Guide, and in the last chapter there is a sample memorial service. Niki Behrikis Shanahan's Animal Prayer Guide is a much needed "tool" to help people comfortably pray for animals, everywhere and for every need. Thank you, Niki, for writing it.